Really people, stop emailing yourself to remind you to do something. Its really very passe these days. 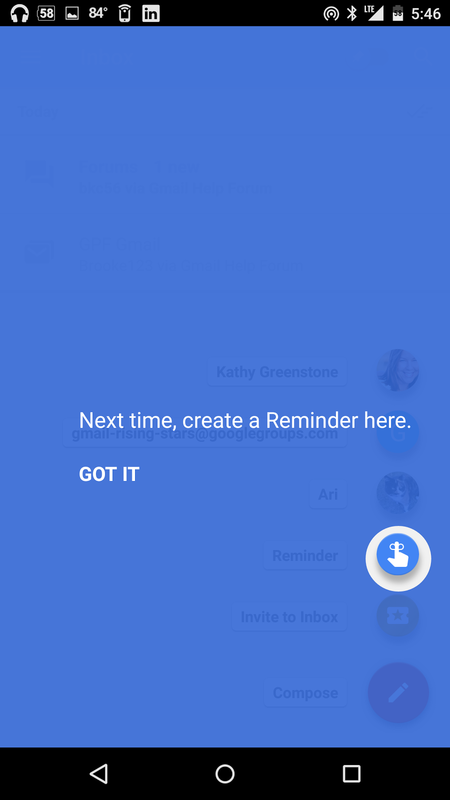 And you know what, Inbox by Gmail now helps you get out of that habit. 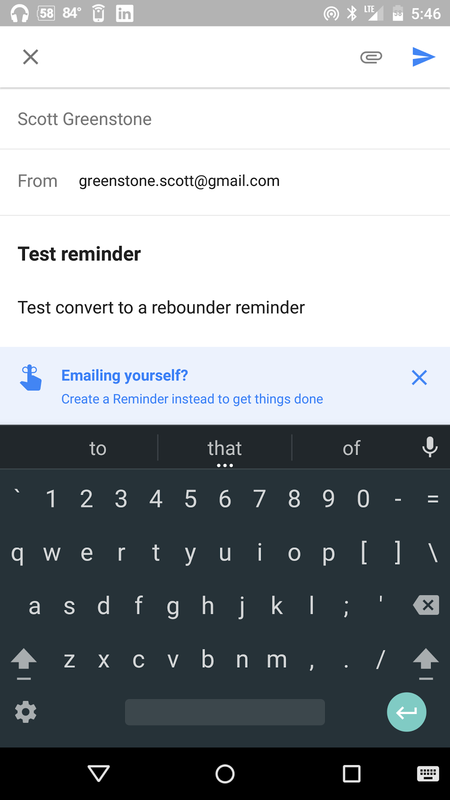 Recently rolled out in the mobile app, Inbox now suggests creating a reminder when you put yourself in the To: field of the email. 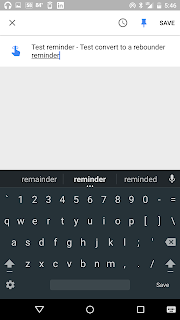 What is great is you can type the subject and the body of the email, then choose to make it a reminder and the information will automatically transfer to the reminder. 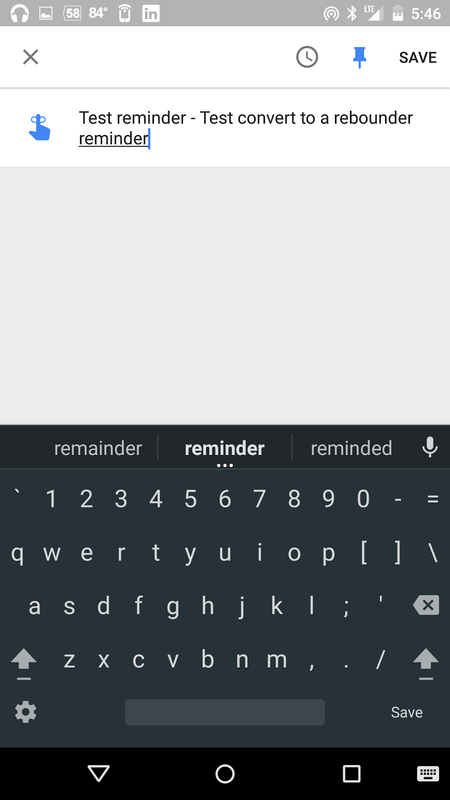 All you have to do is set the reminder specifics of Time/location. 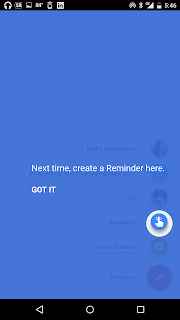 The other cool feature is after you finish setting the reminder, you get a screen that suggests next time create a reminder and how to find the button to do that. 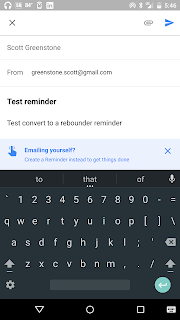 When Inbox comes to GAFE, then this might be useful! Agreed- dont know when that is coming though. Sorry.